WALL STREET, October 22 -- As it got colder in Lower Manhattan on October 22 the Occupy Wall Street meeting of the General Assembly considered a proposal for a people's tribunal against Goldman Sachs, for November 3. While other proposals were confronted by blocks, a form of quasi veto, this one passed by consensus. 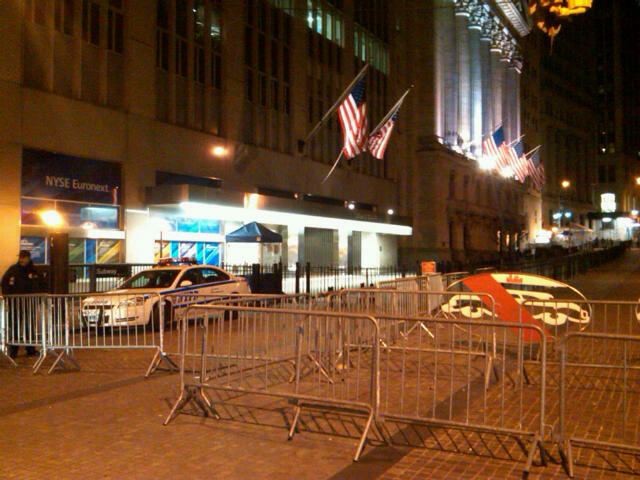 A block away JPMorgan Chase stood surrounded by fencing and police. It has been the subject of a number of marches from Zuccotti Park, but Goldman Sachs until now as escaped direct action. Goldman does not offer regular bank accounts or student loans, although it trades in both, and in the predatory subprime mortgages which triggered the global financial meltdown. 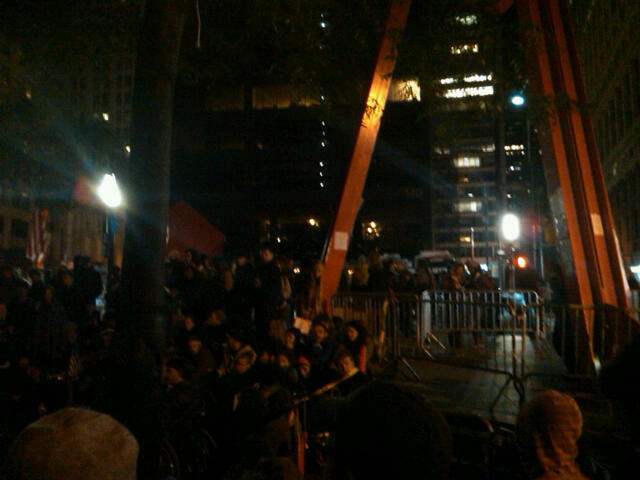 At Occupy Wall Street solidarity events in Philadelphia, banks including the prospective fifth Too Big To Fail institution Capital One were denounced. But Goldman Sachs' will be the first people's tribunal. How will it proceed? Meanwhile the former CEO of Citibank blathered that the Occupiers should forget about the past and just look forward -- triggering responses that one should be this logic empty out the prisons. Bank of America was described as moving risky derivative into its FDIC-insured bank, putting the American people further at risk. Goldman itself defunded its previous fundee, the Lower East Side People's Federal Credit Union -- where Inner City Press has been a customer -- because it dared invited OWS to one of its events. But the indictment of Goldman will go well beyond being a so-called Indian giver. Its roll in securizing predatory loans make it a criminal, which until now has bought immunity. Watch this site. Footnote: beyond the Goldman Sachs proposal, the October 22 OWS General Assembly spent much time on budget proposals, including one by the "People's Library" for $600 for a 60 foot by eight foot tent and $1000 a week. This was met by a request for a block, on the basis that "blank checks" aren't good. Addressing budgetary questions in the short phrases suited to unamplified "mic check" meetings meant that it took a lot of time, which one moderator called "revolutionary" and most seemed to respect. But onward to Goldman Sachs!